Lieferladen.de was founded in 2010 in Stuttgart, Germany, as a pure online supermarket (online pure player). The online-supermarkt stands for fresh and local food. Lieferladen.de has neither a stationary supermarket nor a warehouse, but works in the just-in-time procedure. Exactly the food that is ordered online by customers on the delivery day is sourced from the regional producers. Both fresh food and everyday items can be ordered online until midnight. On the next day, the orders will be delivered to the customers at their desired timeslot. In addition to the region of Stuttgart a second region in Southern Germany can use the Lieferladen.de service since 2014. The online supermarket for Ulm works according to the same principles. The concept of Lieferladen.de will be expanded in other regions of Germany over the next years. New partners benefit from a standardized concept for the online sale of fresh food in their region and from a pre-configured product database. Lieferladen.de needed a system which is able to handle multiple tenants in order to bring new partners online very fast – a main feature of the SAAS Food Commerce Cloud. In a very short time you can set up new online shops for selling fresh food and offer new partners a quick go-live without risk. As a customer you will first select your region at www.lieferladen.de and then you will be directed to your local Lieferladen.de online supermarket. The SAAS Food Commerce Cloud covers the complete process of the business: From ordering online to delivery at a desired timeslot. Interfaces for data export/import exist for newsletter dispatch, tour planning, payment processing and accounting. 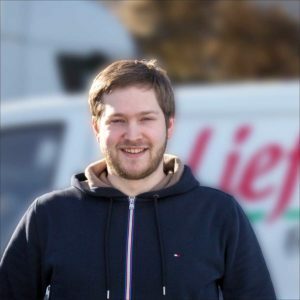 Lieferladen.de in Stuttgart reaches around 1 million people in the delivery area. However, not all of the almost 50 postal codes are supplied daily. Delivery is controlled according to the postal code, so that the densely populated inner city is supplied daily and the surrounding areas only on certain weekdays. This lowers the costs for logistic dramatically. 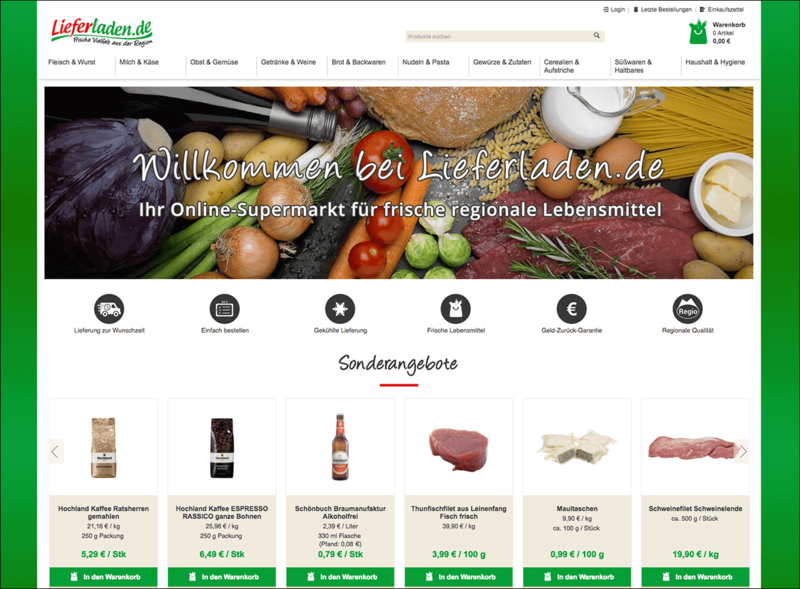 With the SAAS Food Commerce Cloud, Lieferladen.de can offer groceries of regional producers (e.g. butcher or baker) like at the service counter. Depending on the product, customers order by piece or by weight and select cutting and packaging options according to their preferences. Minimum and maximum quantities per product, which can be defined by the grocer, also contribute to optimized logistics costs. Read the case study about our client Naturgut, a organic stationary grocer with delivery service. Watch this video to see the Lieferladen.de in action. Pingback: Our customer Lieferladen.de will give a presentation at the Loca Conference 2018 in Munich on the topic "networking of online & offline worlds in the retail sector"